Yes, I am aware I have been quiet for a week. Thing is, we were busy in a non-bloggable way, you know 🙂 However, one thing I may have to review in my Year of Stashbusting project is the goal of having an FO every Monday. Unless I can call a granny square a FO, I won´t be able to keep it up 🙂 However, I will still try to have an FO on Mondays as much as possible. Now, the Sourpatch is progressing very smoothly. 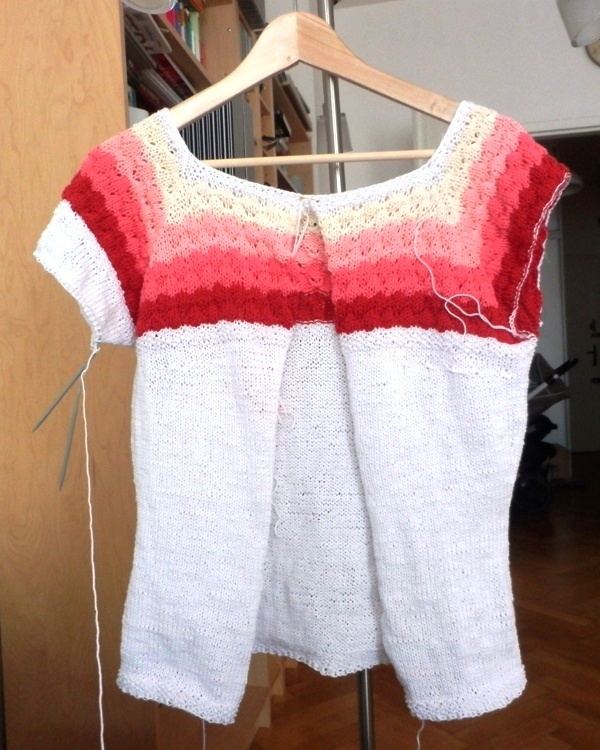 When the sleeves are done, it is just the button band and off we go 🙂 I try to keep detailed project notes on Ravelry, but really, the construction could not be simpler. I am also hoping fro decent pictures when this is finished!